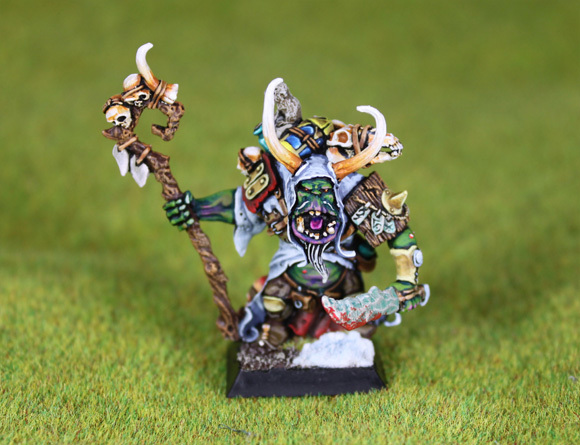 One of the reasons why I have two Confrontation armies is that I wasn’t sure whether I would ever get time to paint all the Orcs of the Behemoth because they take a long time to paint due to the huge amount of little details on every single miniature. 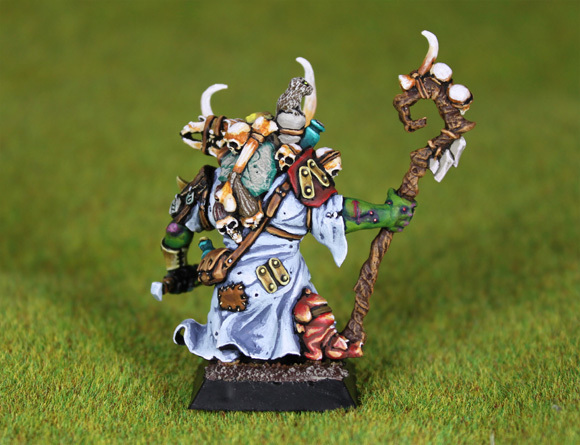 The Mystic of the Behemoth is no different. 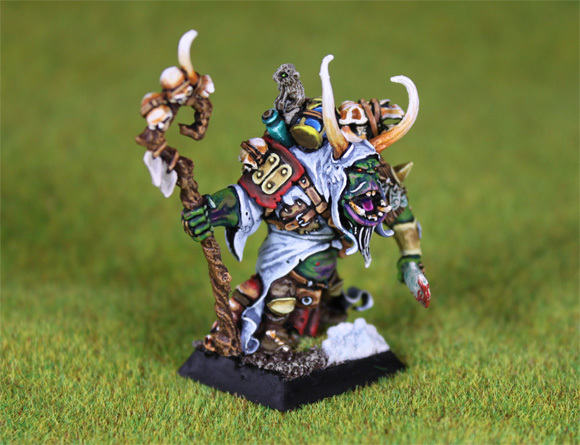 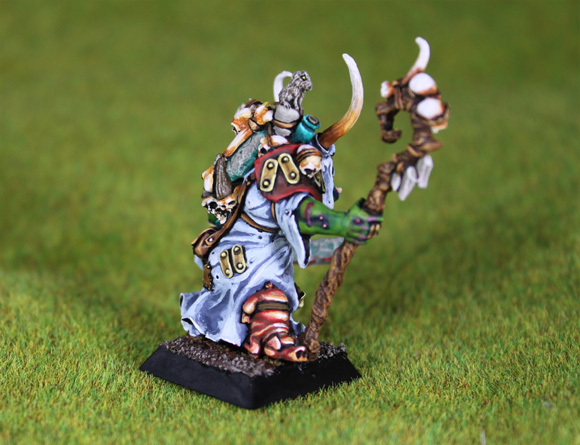 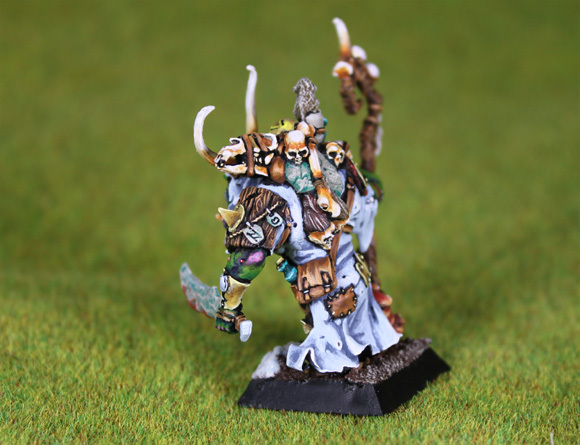 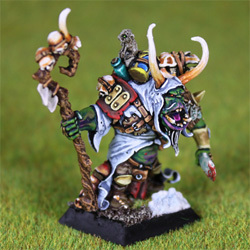 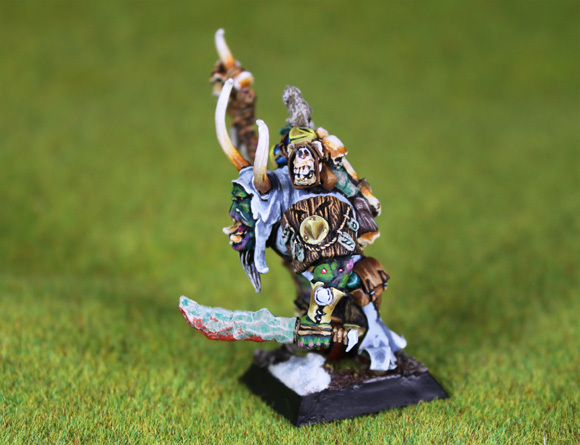 With flasks, lanterns, stones, skulls and even a pig this miniature took a long time to paint. 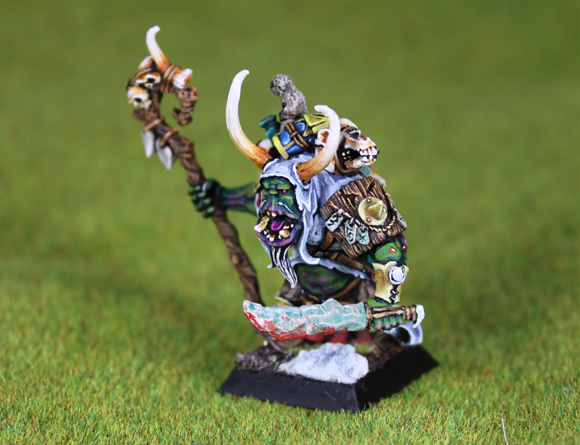 But I am quite happy with the result so have primed all the other Orcs of the Behemoth I have as I now feel encouraged to paint the rest.